Over time, daily wear, illness, some medications, and our genetics can adversely impact our teeth and gums. 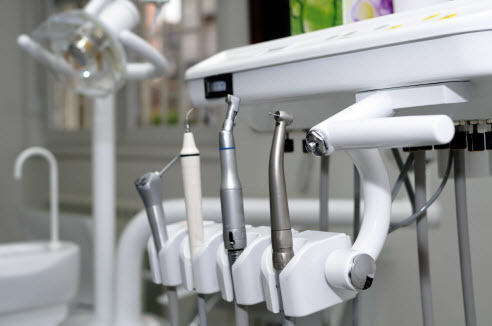 These, often hidden dangers can result in decay, cracks, broken teeth, gum disease, and tooth loss. Dr. William Huiras provides a wide range of quality restorations in Paso Robles, CA. Whether you need your need teeth repaired or replaced, our dentist offers quality service and a gentle touch. Crowns –to repair a badly damaged tooth, this restoration caps the entire top portion of a tooth while replicating its previous structure. Crowns are also used to complete a root canal procedure. Fixed Bridges – this tooth replacement solution includes an artificial tooth (pontic) that is held in place by two crowns, securely attached to adjacent healthy teeth. Full and Partial Dentures – these appliances replace most or all teeth to restore the patient’s ability to chew and speak properly. Implant-Supported Crowns work differently than conventional crowns. While the traditional restoration repairs a damaged tooth, this prosthetic replaces the tooth. With the added benefit of a titanium post to serve as the root, this replacement method restores the complete structure of teeth. Implant-Supported Bridges can replace a short row of teeth and require a minimum of two implant posts, or fixtures, to provide a strong and stable replacement. Implant-Supported Dentures can restore up to a full arch of missing teeth. Permanent or hybrid dentures are attached to a minimum of four fixtures while removable overdentures can be stabilized with only two. Dr. Huiras is attentive to your concerns and goals, taking great care to design a treatment plan that matches your needs. He carefully obtains precise impressions for natural and functional prosthetics. We offer a choice of materials, including porcelain, zirconia, e.max (lithium disilicate) and expert shade matching. Even with proper brushing and flossing, people can experience dental damage, and those who have had gum disease are at a higher risk of tooth loss. Our dentist is dedicated to helping these patients regain both the function and aesthetics of their smiles. Living with damaged or missing teeth can decrease one’s confidence and interferes with the ability to digest food. Repairing or replacing teeth promptly helps prevent these complications. Dr. Huiras and his team work hard to provide a comfortable and positive experience while restoring your smile. Your smile plays an important role in the way you feel about yourself and the way others perceive you. Dr. Huiras stands by his works and finds reward in helping his Paso Robles community maintain their oral health.